Liam M. Warner ’20, a Crimson Editorial editor, is a Classics concentrator in Adams House. The continuing admissions imbroglio has revealed how confused the College is about its purpose in education. On the one hand, it has allegedly been suppressing the admission of Asian-American students so as to make room for more black and Hispanic students, and this for the goals of diversity and social justice. On the other, Harvard seems to admit the children of alumni at five times the rate of other applicants, which counteracts the first policy by preserving the Ivy League upper class and taking spots from the underprivileged. Meanwhile, Students for Fair Admissions insists that both practices be abolished in favor of merit alone. Houses divided being structurally unsound, we are impelled to decide what Harvard’s purpose is so that we can devise an according admissions regimen. 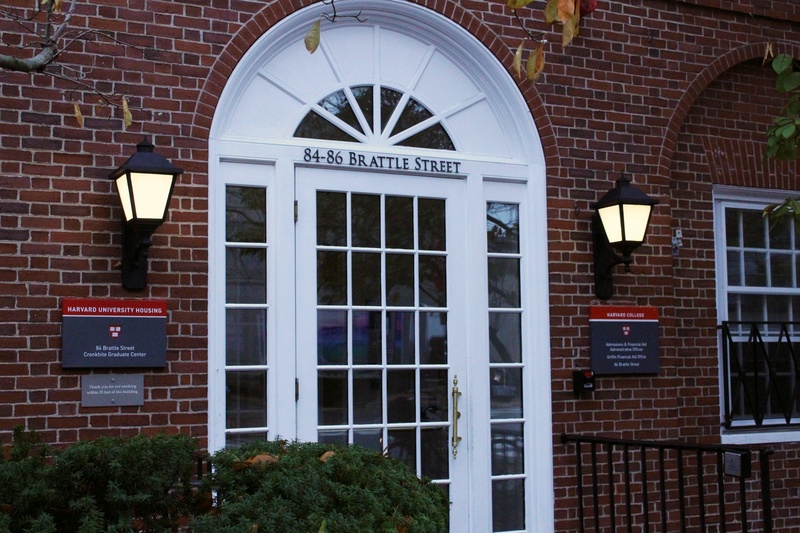 SFFA considers Harvard an essentially academic institution which therefore should train the smartest students it can find, regardless of their race, and dispatch them to illuminate the workforce. Those intent on defending diversity see Harvard not merely as a technical classroom but also as a community of people who learn from each other, not to mention a vehicle to elevate mistreated minorities. Thus the meritocrats accuse the diversitarians of admitting the intellectually unqualified, and the diversitarians rejoin that the meritocrats produce a stultifying uniformity in the class. Each side is right in part, but both fundamentally mistake Harvard’s mission. Therefore I offer William F. Buckley’s account of the subject, mutatis mutandis, to correct their errors. The proper admissions policy is as follows: Having set the academic standard for the incoming freshmen as high as it sees fit, Harvard will admit any legacy student whose grades and test scores show him able to graduate in four years, provided he meets the normal non-academic qualifications. Several objections rush to mind, principally that this policy perpetuates a privileged upper class. It does — that is what it is designed to do. John Adams, Class of 1755, defined gentlemen as those who have received a liberal education; Harvard is a liberal arts college, and its first purpose is to produce graduates who will lead their towns, their states, and their country. Harvard itself avows that it aims to produce the future leaders of America, not merely the future academics. Brilliant scholars are, of course, necessary and desirable, but such minds will always be only a fraction of a Harvard class. Such graduates are collectively called the ruling class, which is not a phrase one is permitted to use today in America, unless it be with democratic disgust. Yet those who call a ruling class “un-American” are flagrantly ignorant of the history of what they pretend to be defending: the Adamses, Lodges, Eliots, Lowells, Winthrops, Rockefellers, Roosevelts and Kennedys have been indispensable in the health and government — and even founding — of the United States, and they all cultivated in their children a dedication to serve and lead society at its three levels. It is the envious egalitarians who are un-American. Thus we have an argument for liberal education, but not for Harvard specifically. To arrive there we must address another objection to legacy admissions, namely that alumni donate to the College in exchange for their children’s admission in a corrupt bargain. But why, in the first place, should an alumnus make donations to Harvard? Not because of a general commitment to higher education, for in that case the money would create a much greater marginal benefit for a school way down the rankings. Not to enable Harvard to gather in one place as many brilliant professors as possible; the rules of philanthropy would actually dictate releasing many professors from Harvard so they could bolster inferior schools. Without this relationship, without Harvard’s dedication to its own traditions, there is no reason for Harvard to be a private university at all. A private university advances interests beyond mere training in facts, namely imparting a unique character, culture, and societal obligation on its graduates. If Harvard abjures this goal, it should donate itself to the Commonwealth of Massachusetts. Despite all this, however, the legacy preference does not close off Harvard from everyone but the aristocracy. The laws of romance and fertility prohibit that even half an admitted class should be composed of legacies. The Crimson reported in 1929, under University President Abbott Lawrence Lowell, Class of 1887, in the fullness of his discrimination, that the freshman class of 853 students included 321 sons of alumni, only 38 percent. The majority of students under such a system must still be culled from the great flocks of everyday American high-schoolers. Contra both meritocrats and diversitarians, Harvard is neither an IQ refinery nor a tool of economic reorganization. The admissions office should never prefer the unqualified to the qualified in the name of alumni relations. Instead, it must always prefer tradition and noblesse oblige to misguided democratic malice.